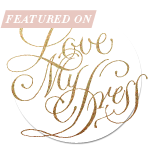 It’s been pretty wintery lately so I’m glad to be inside on admin duty (almost!) and not in my freezing workshop! 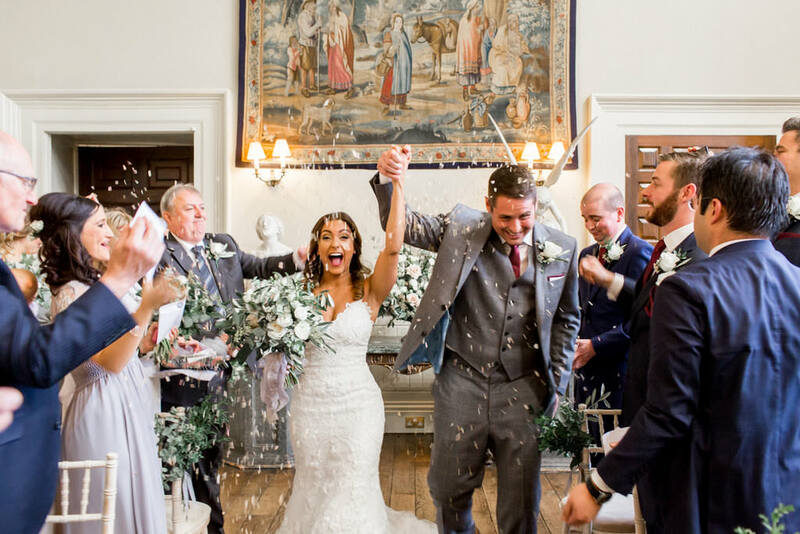 So I thought I’d finally get round to sharing this beaut of winter wedding at Elmore Court with these stunning images by Phillipa Sian Photography. 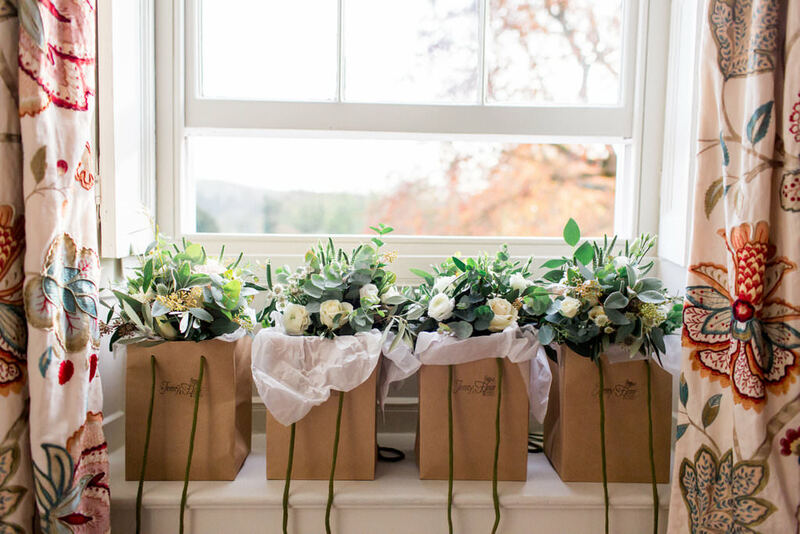 Eucalyptus is always hugely popular as a wedding foliage and it really comes into it’s own for winter weddings which aren’t going down the festive route when it comes to styling. 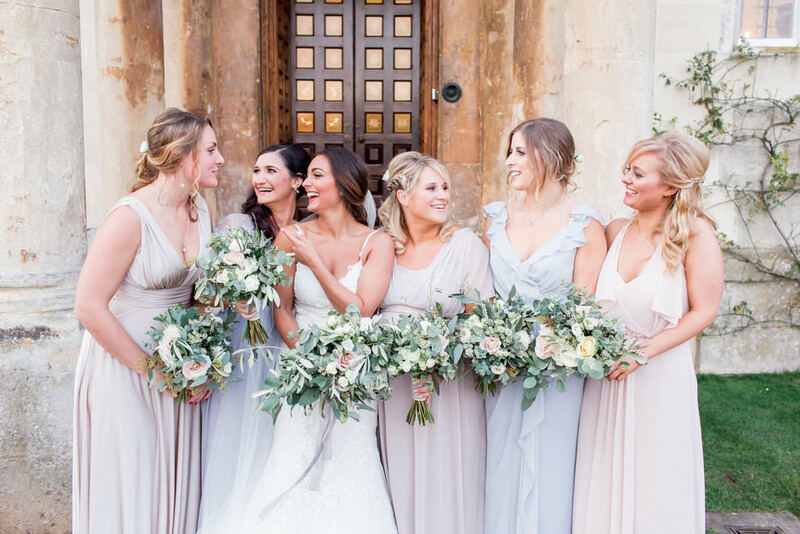 The silvery-grey greens have a classic but natural look and perfectly complement a neutral palette of ivory and the palest blush. Eucalyptus is also at it’s best quality though the cooler months of Autumn and winter so I love to include it throughout my floral designs. 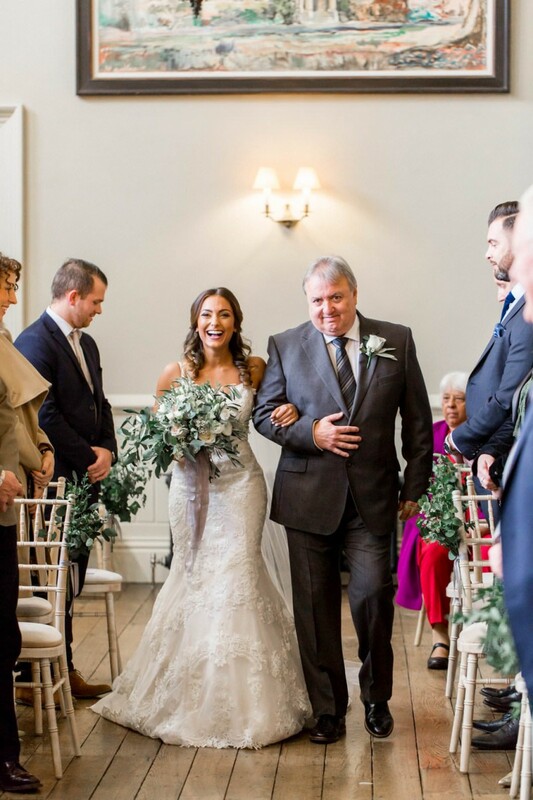 This soft, romantic colour palette was perfect for Amy and James’ November wedding at Elmore and I loved creating their flowers in a natural, but elegant style. 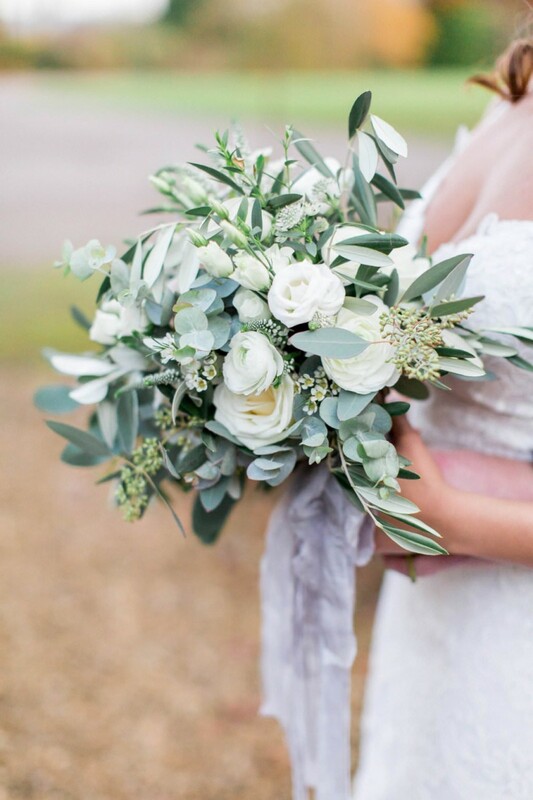 Amy’s bouquet was full of textural Eucalyptus foliages including a gorgeous seeded variety as well as olive with it’s silvery-green leaves. Ivory-white flowers nestled between the greens. I used roses, ranunculus, Veronica, lisianthus, astrantia and wax flower. 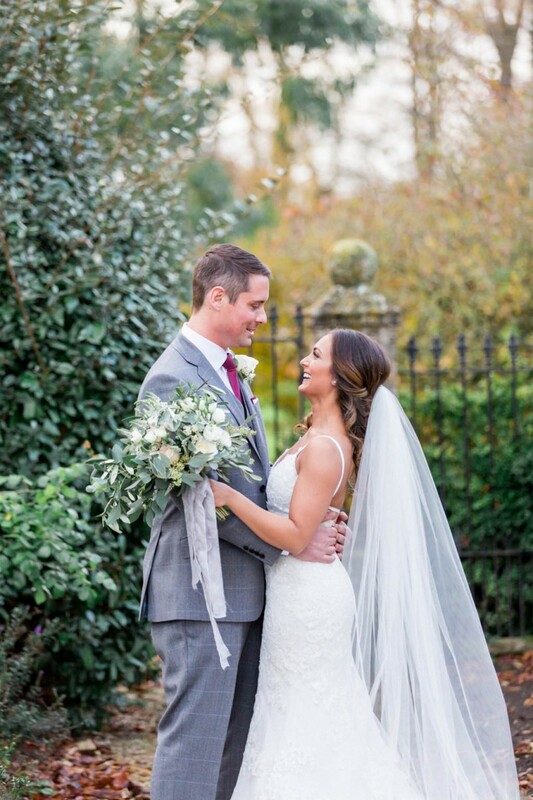 To add a hint of warmth to this winter wedding at Elmore Court I added in some pale blush Quicksand roses. I finished the bouquet with my hand-dyed grey silk ribbon, beautifully romantic and floaty. 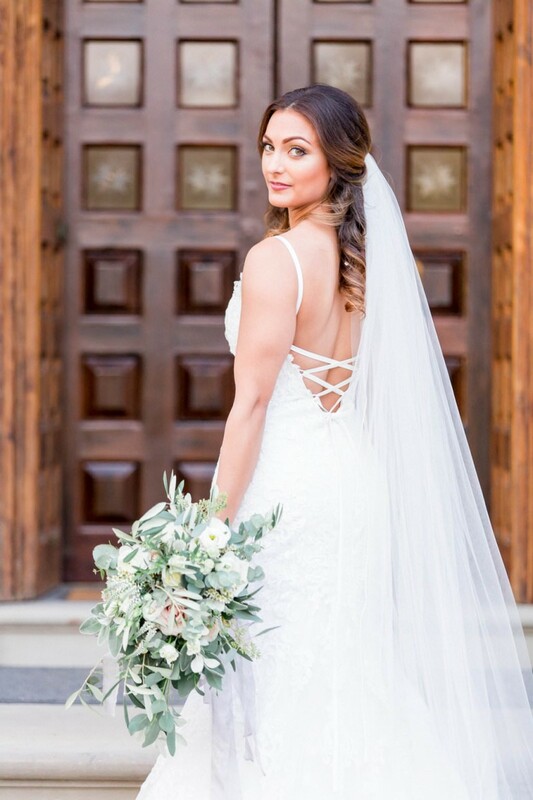 The nerve-racking moment showing any bride her unique and personal bouquet for the first time, but getting the best reaction to it! 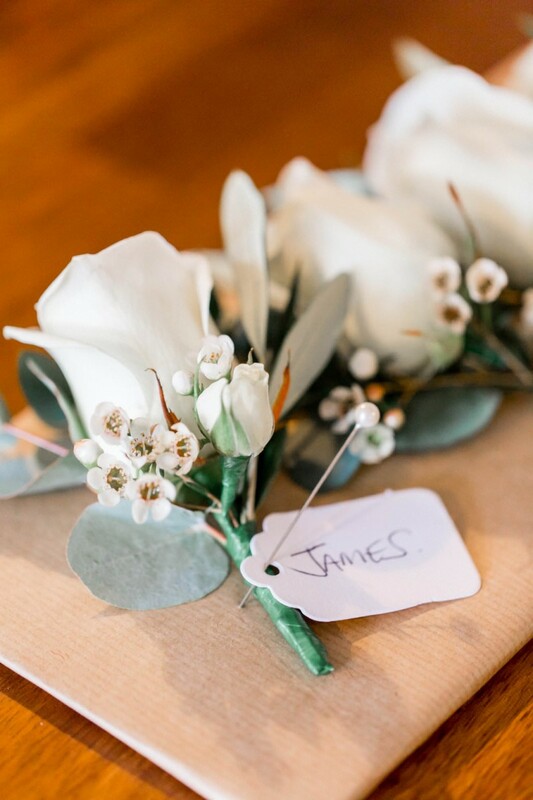 The chaps had classic buttonholes of ivory roses, wax flower and little sprigs of foliage. 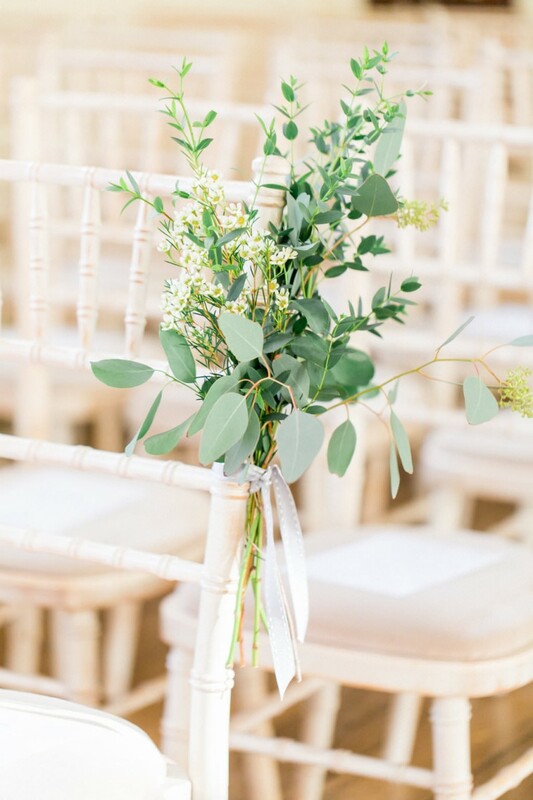 Eucalyptus filled the ceremony hall with fragrance from simple ‘pew end’ bunches of foliage and dainty waxflowers. 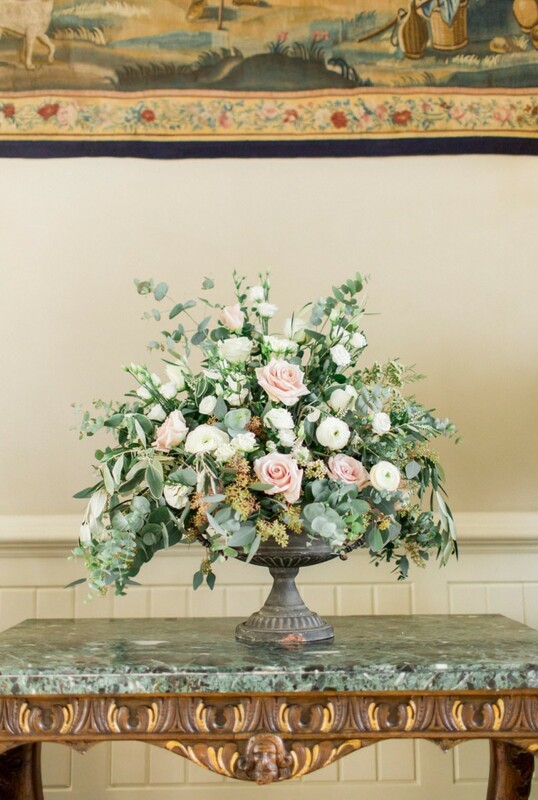 A statement urn arrangement provided a ceremony backdrop while the couple said their vows. 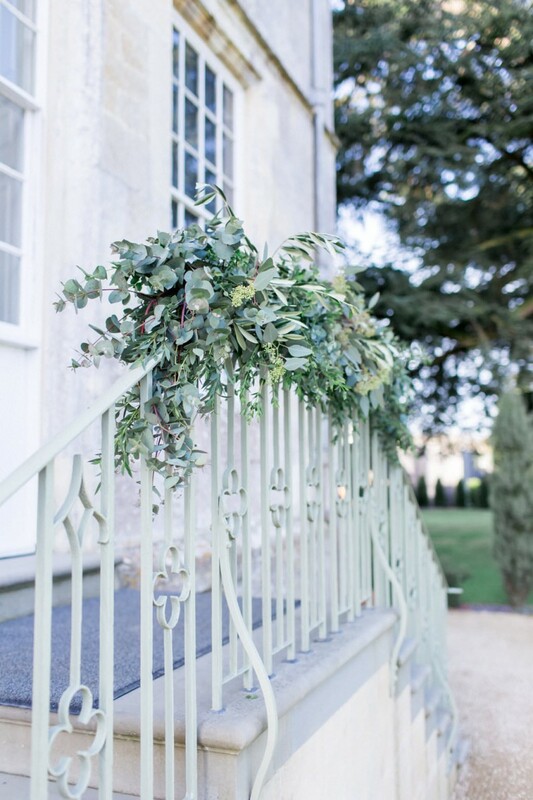 Outside the house I dressed the railings with yet more eucalyptus forming a lush green garland. 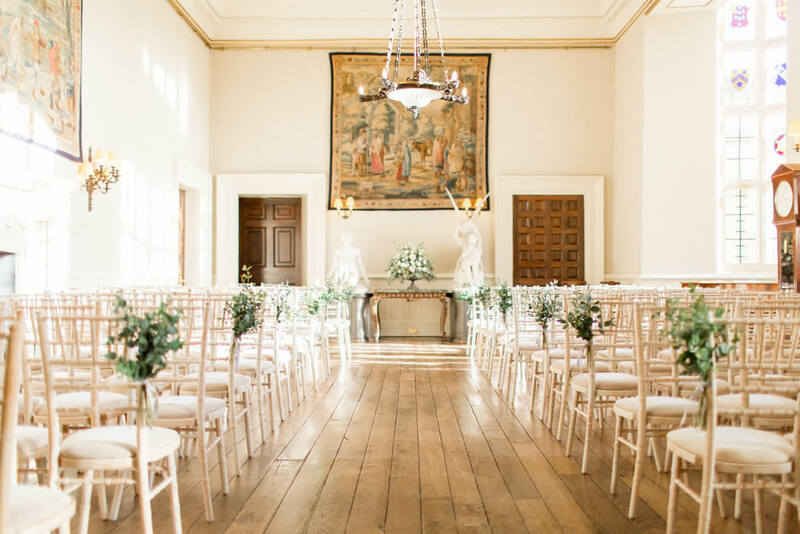 Inside the Gillyflower elegant styling with gold details and natural florals set a relaxed, but warm atmosphere for the reception. 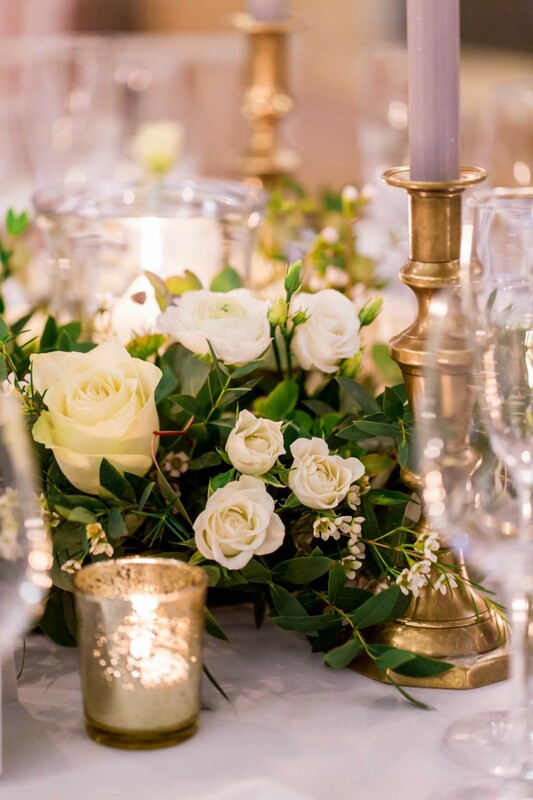 The tables centres were leafy wreaths with ivory flowers and a central hurricane vase with a candle. 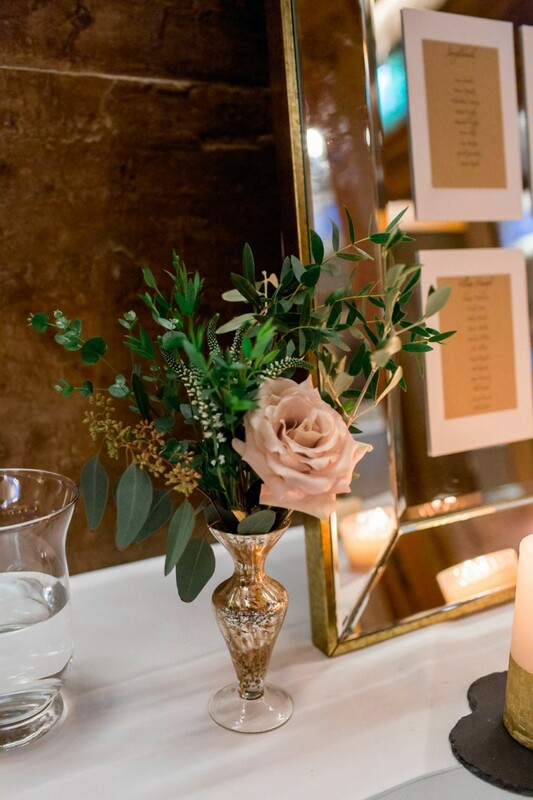 I also stayed the tables with my vintage brass candlesticks and gold votives. 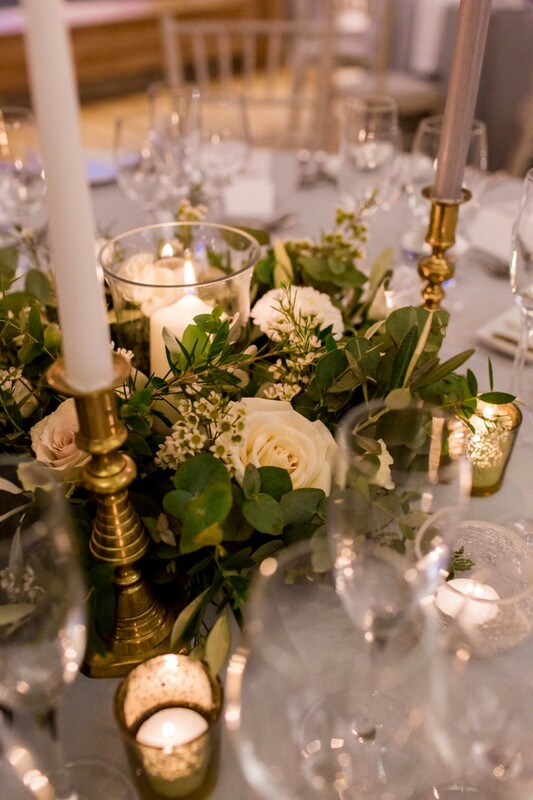 We used soft grey candles to add a hint of colour whilst keeping it all very muted and neutral. 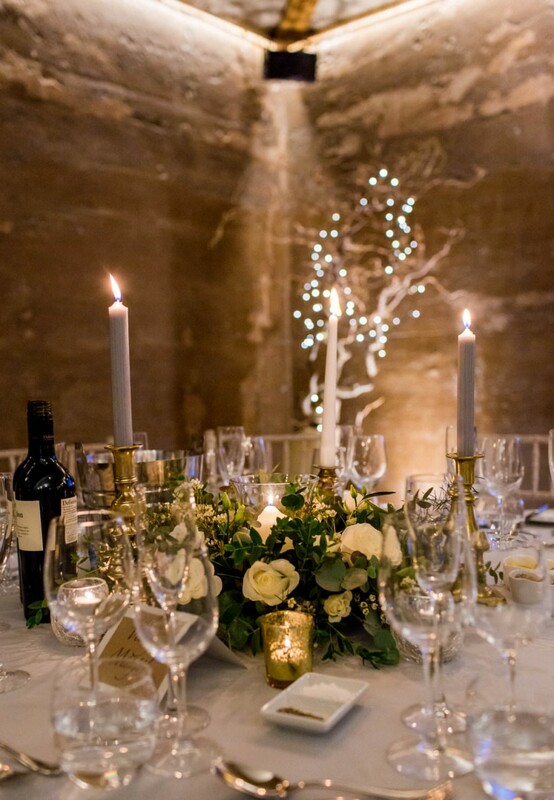 All the candlelight looked beautiful for this elegant winter wedding at Elmore Court. 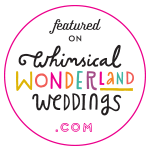 Older Posts: Coastal wedding inspiration – a wild and windswept Cornish elopement shoot.